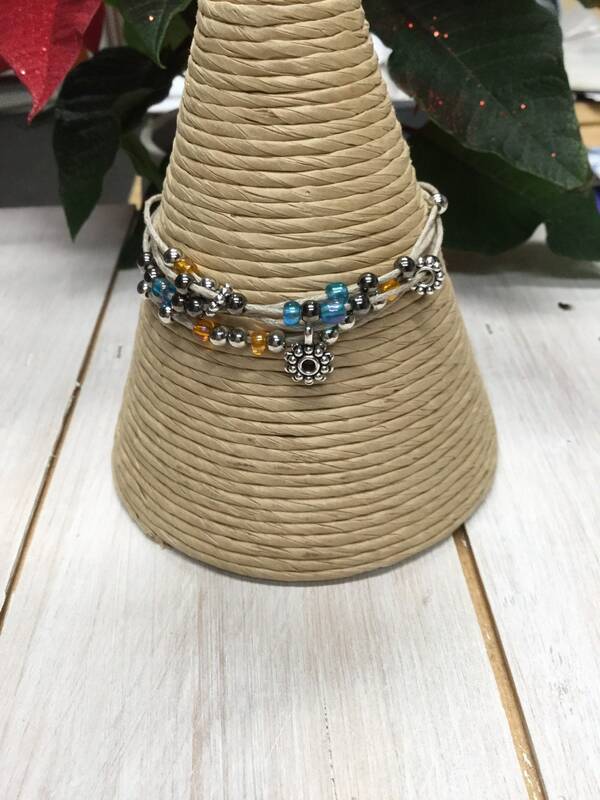 A really pretty boho bracelet. I make these myself and love choosing the colours and beads to add. 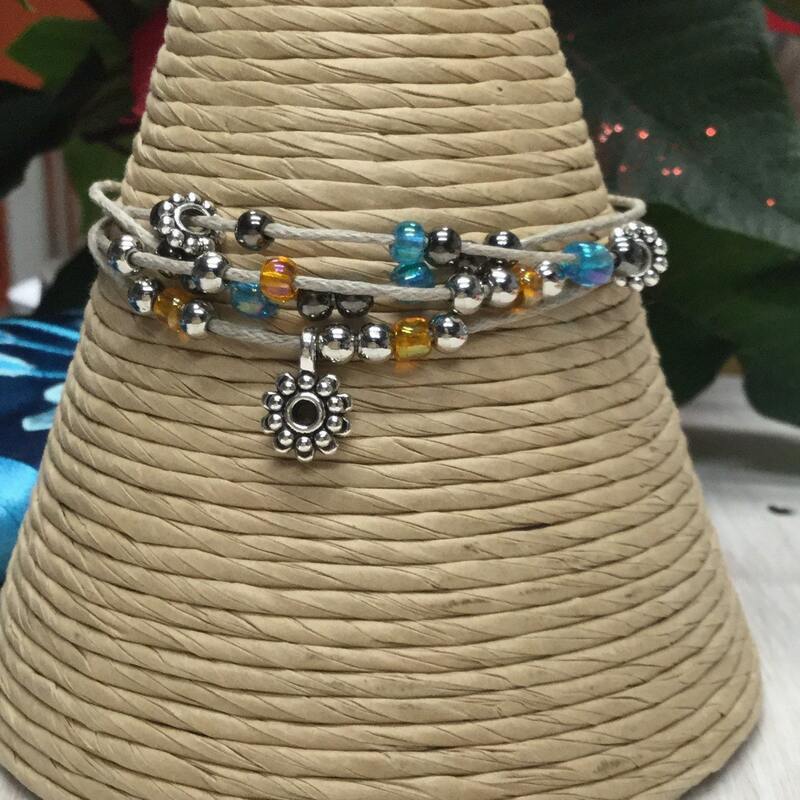 I'm not sure if the charm is a bumblebee or a butterfly - I've teamed it with silver tone and clear beads. 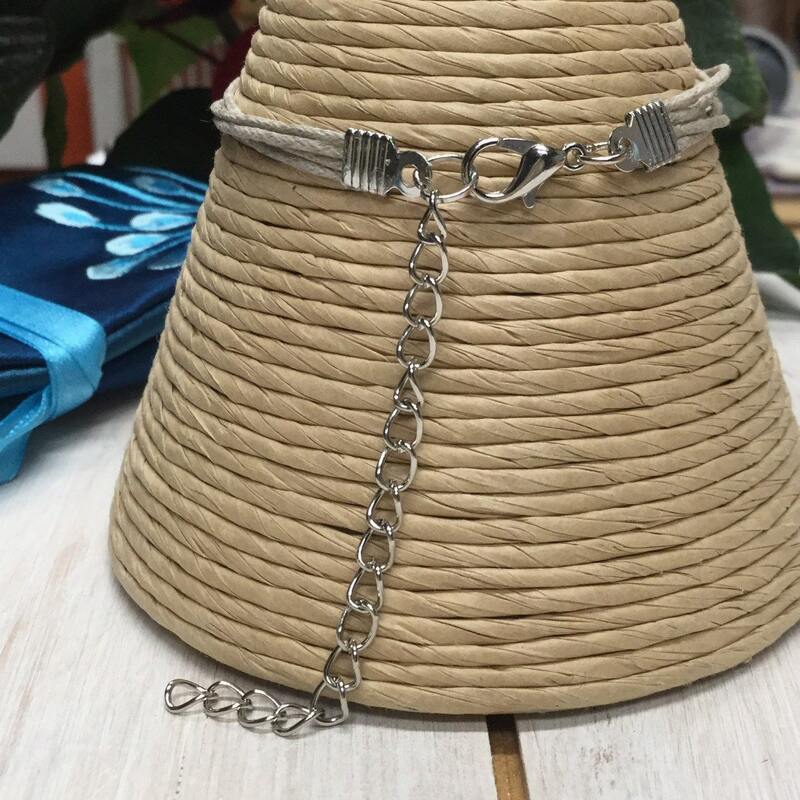 The fastening is a lobster claw, with an extension chain for a perfect fit. Supplied in a pretty organza gift bag.